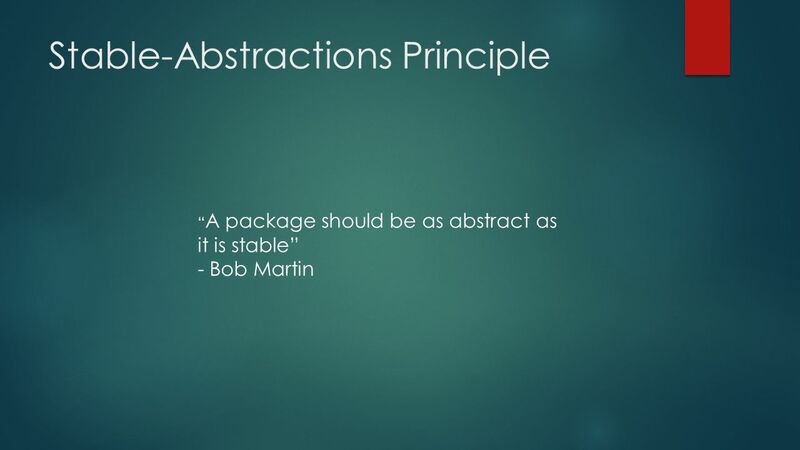 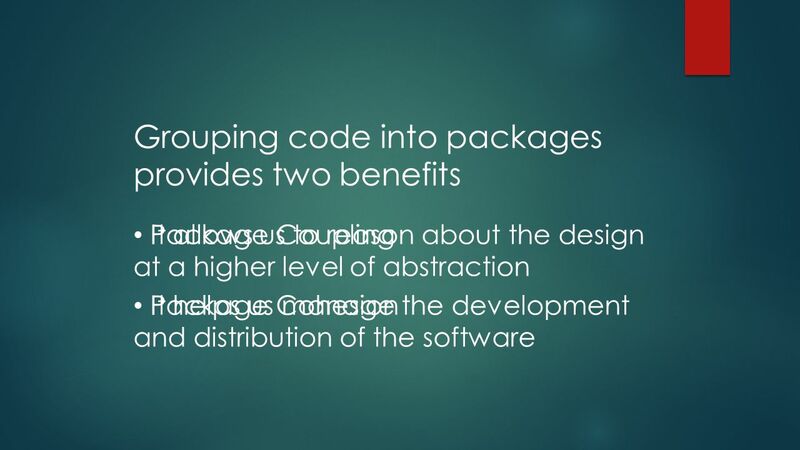 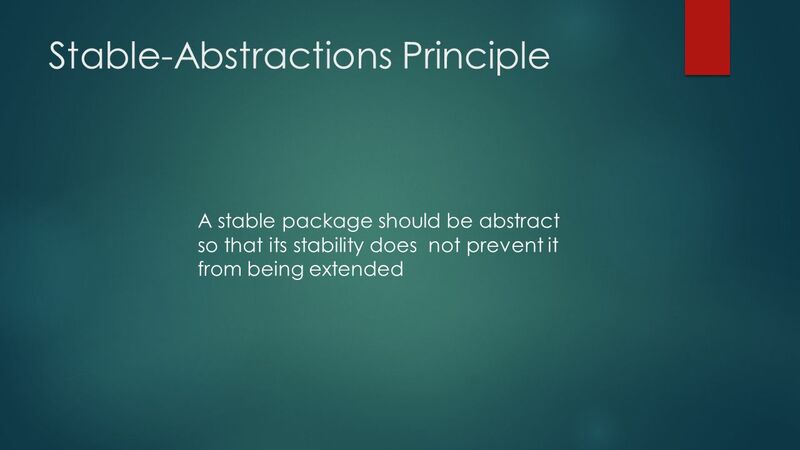 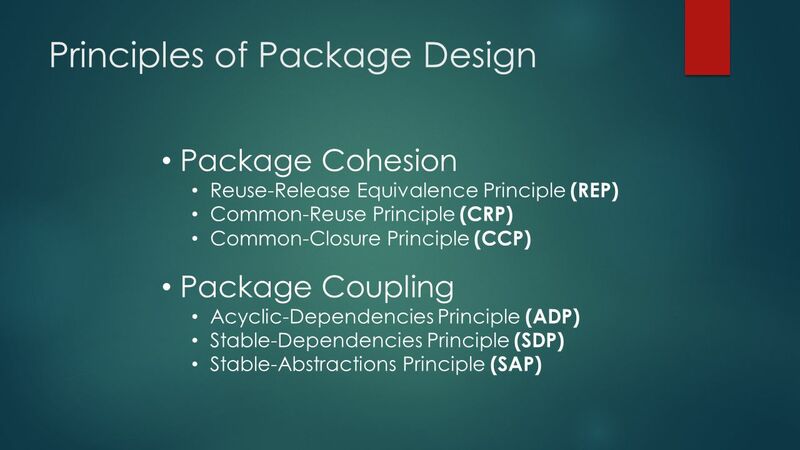 Principles of Package Design COMPOSE AT A HIGHER LEVEL OF ABSTRACTION. 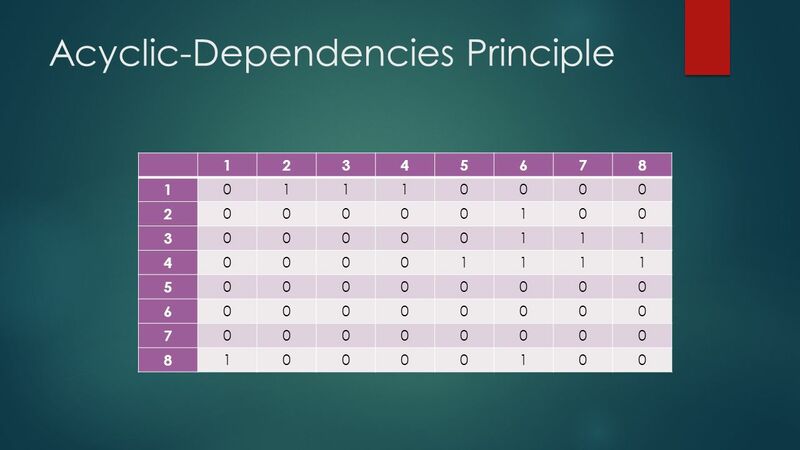 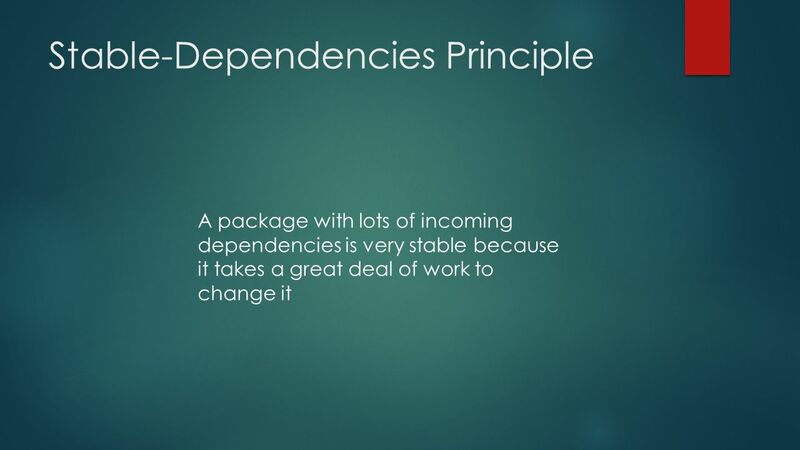 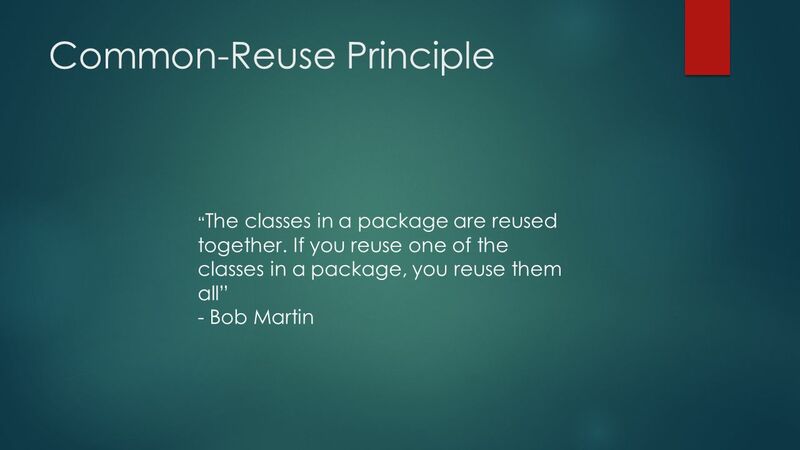 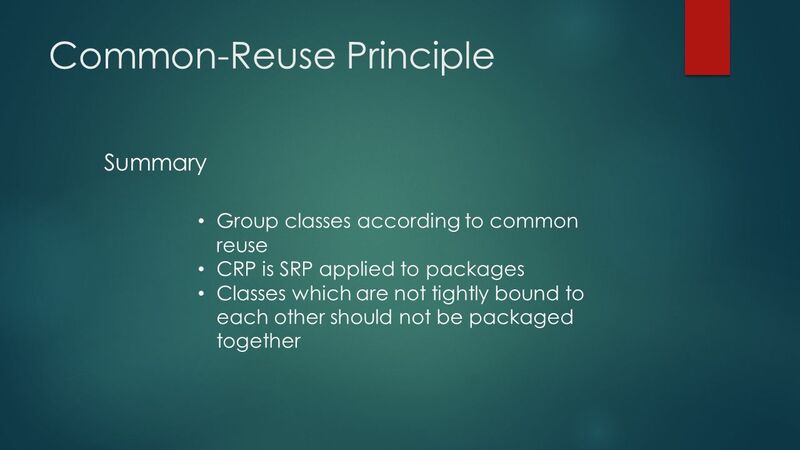 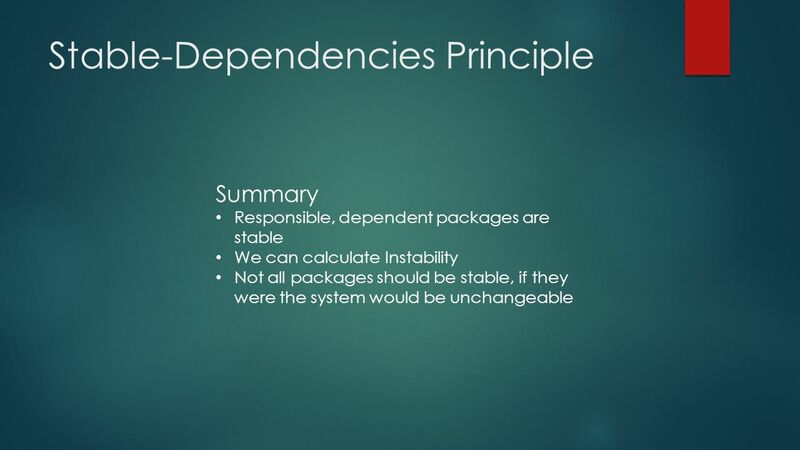 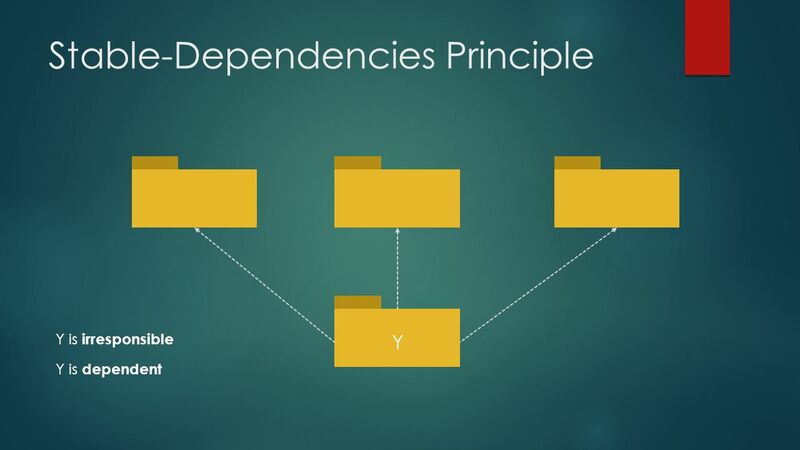 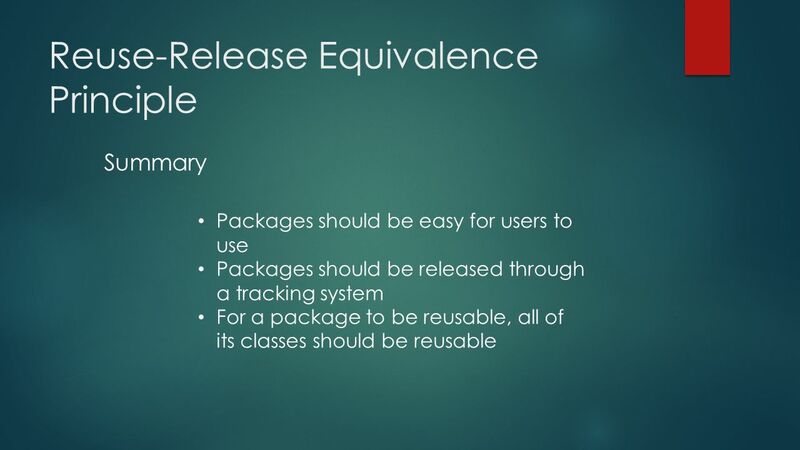 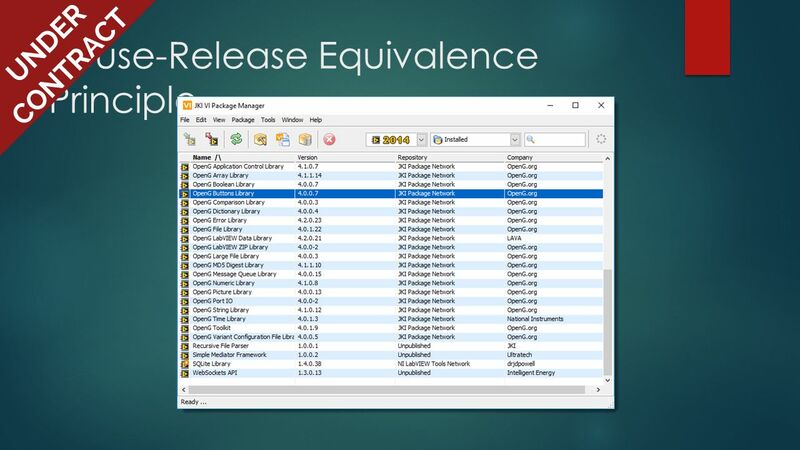 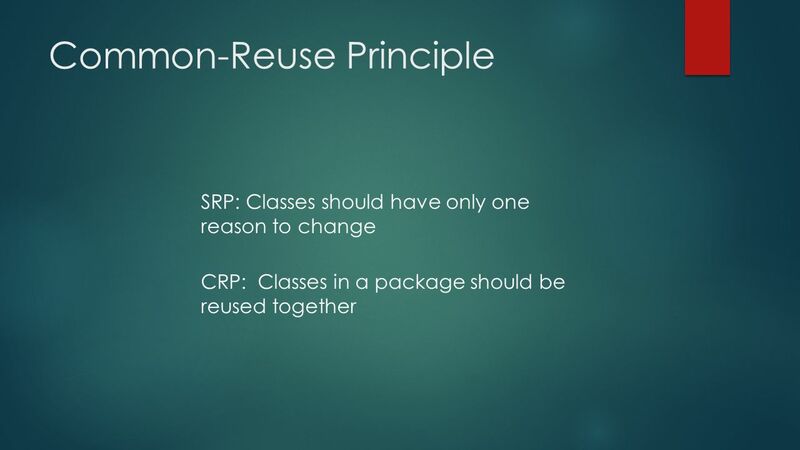 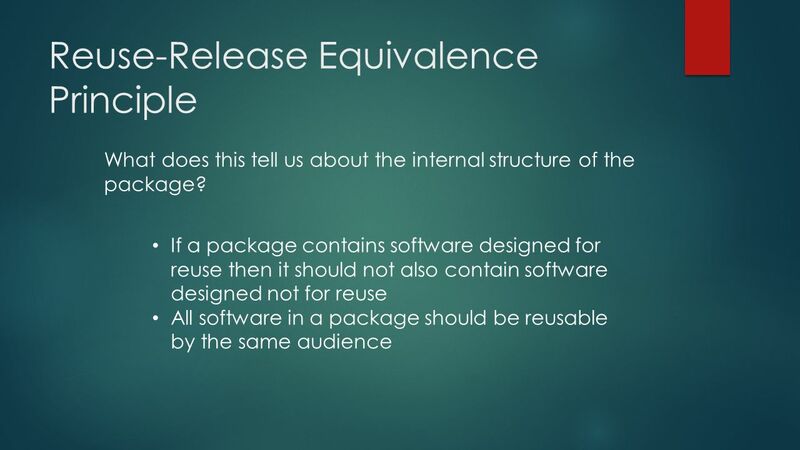 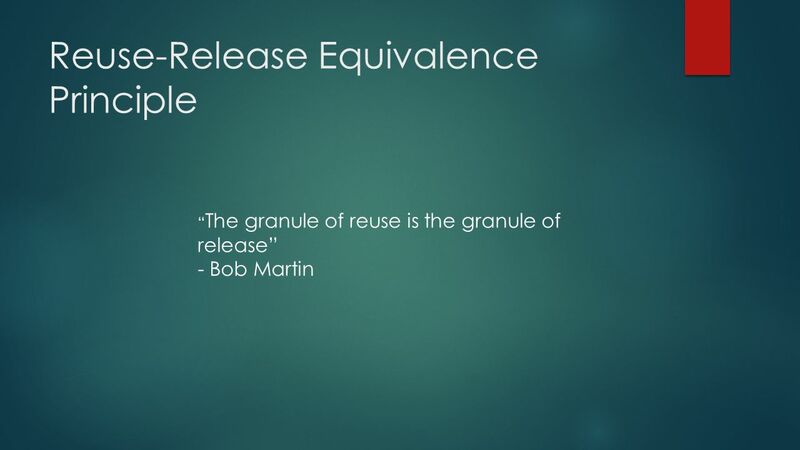 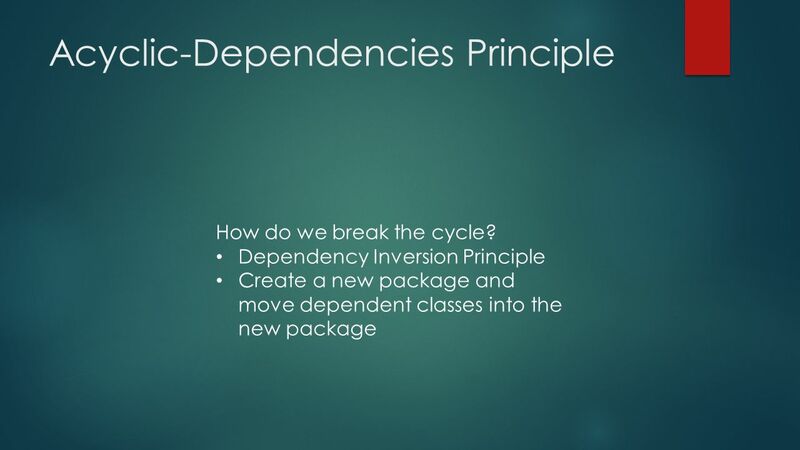 11 Reuse-Release Equivalence Principle If a package contains software designed for reuse then it should not also contain software designed not for reuse All software in a package should be reusable by the same audience What does this tell us about the internal structure of the package? 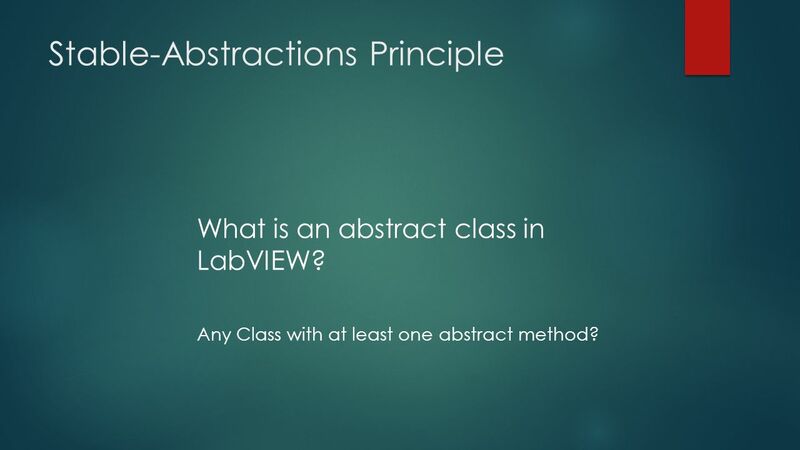 48 Stable-Abstractions Principle What is an abstract class in LabVIEW? 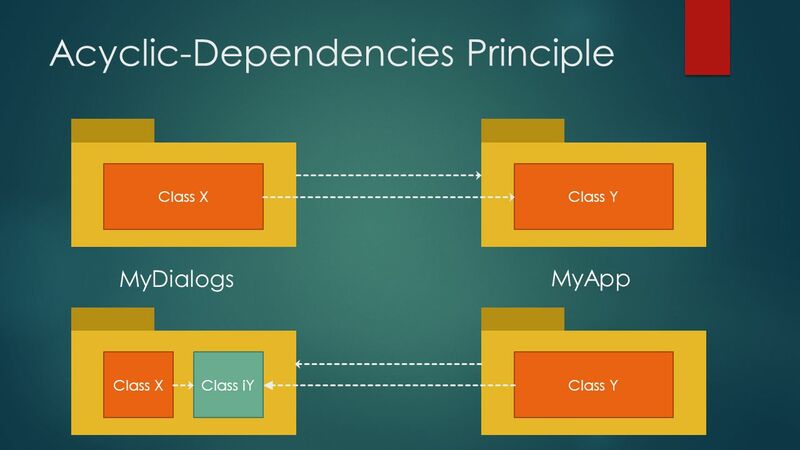 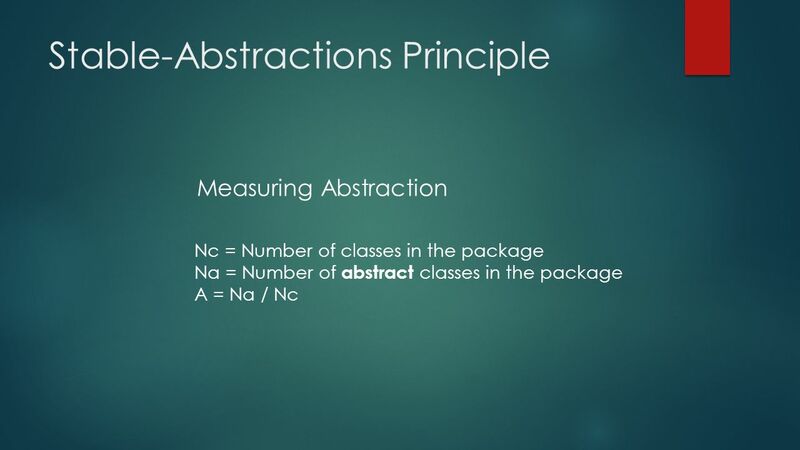 Any Class with at least one abstract method? 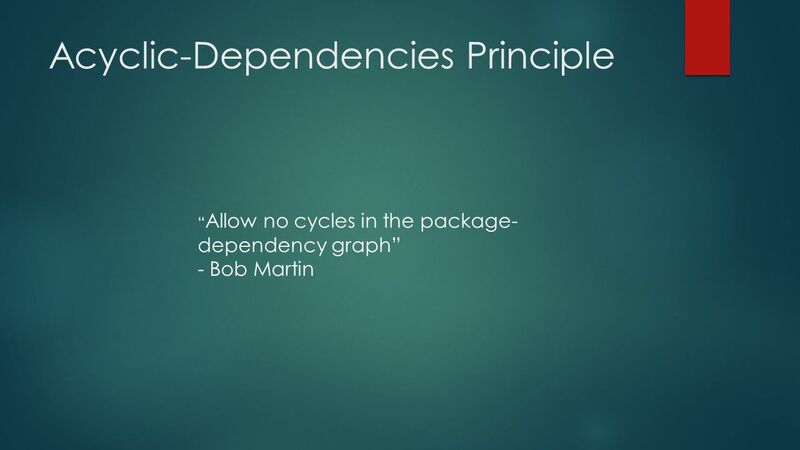 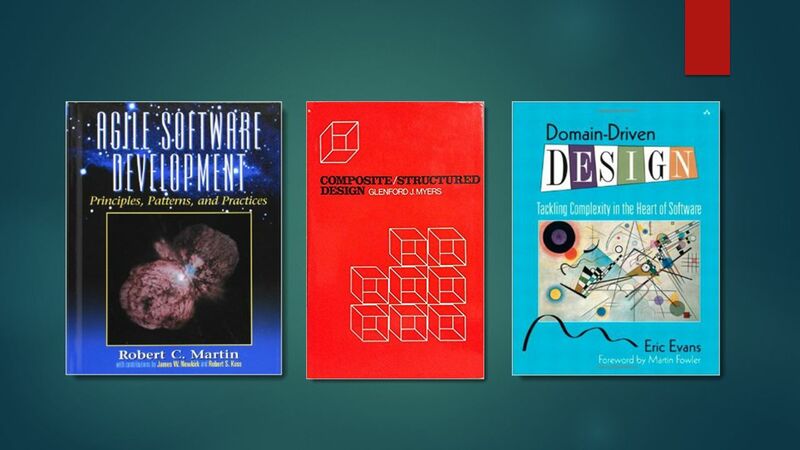 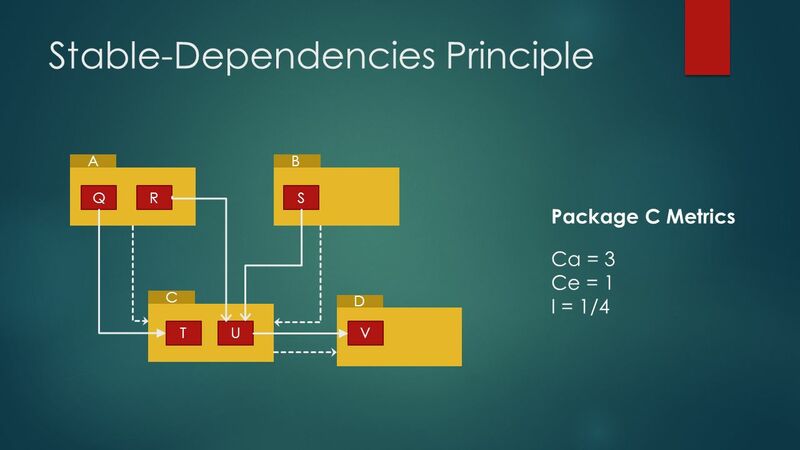 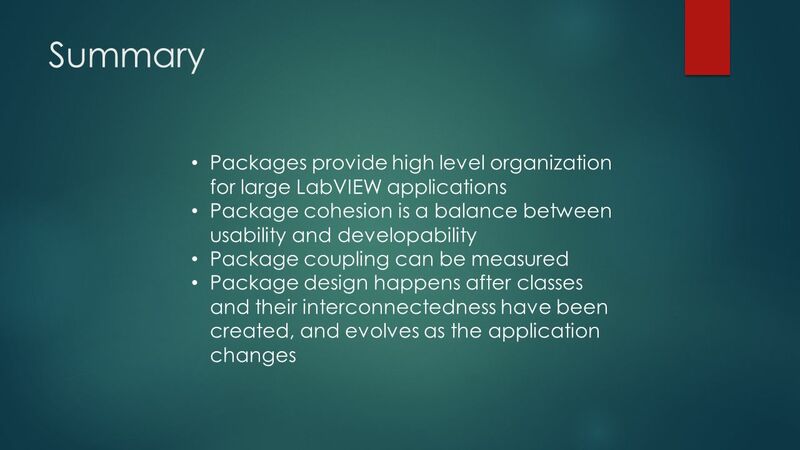 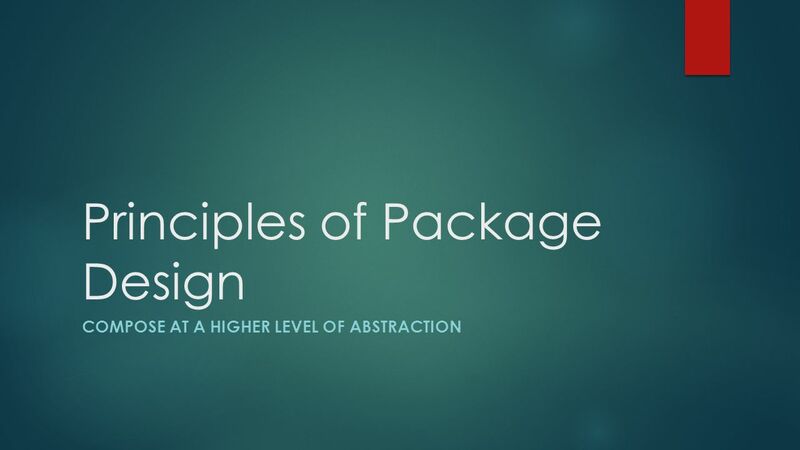 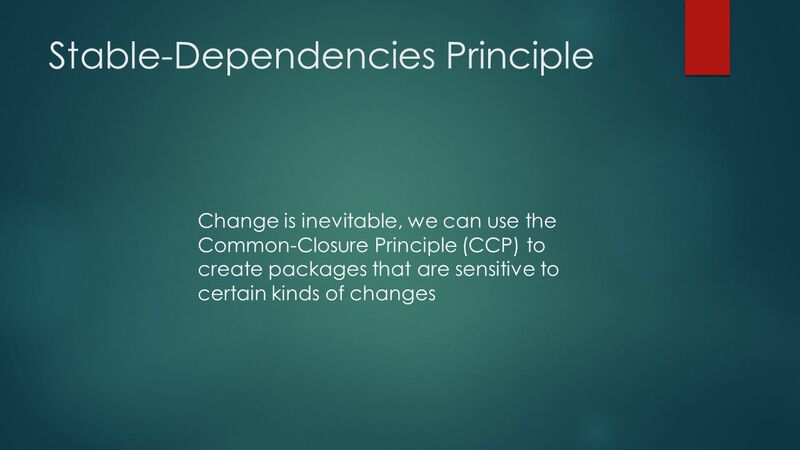 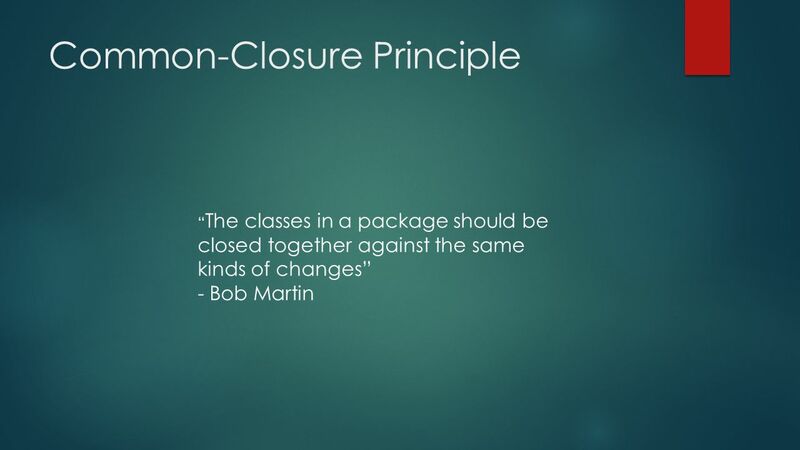 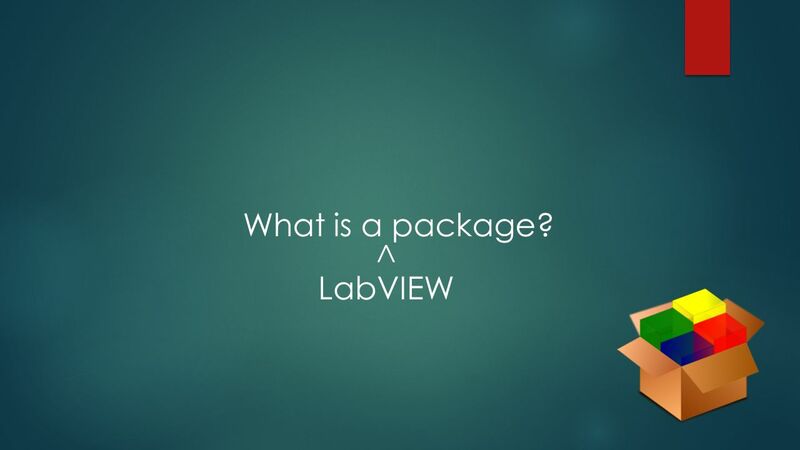 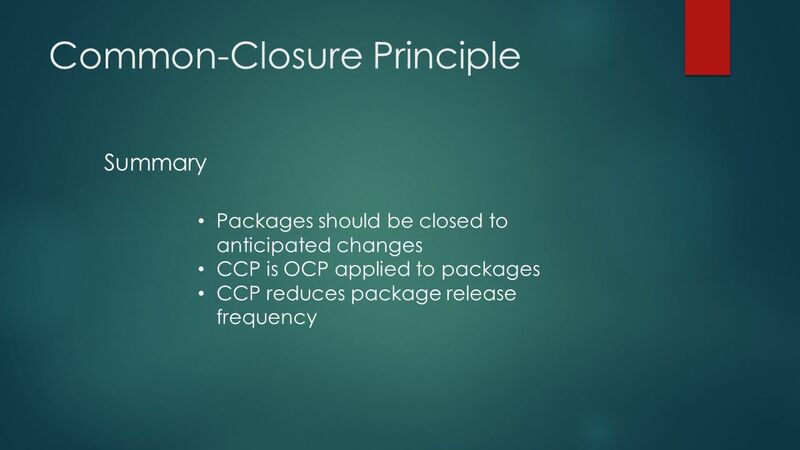 Download ppt "Principles of Package Design COMPOSE AT A HIGHER LEVEL OF ABSTRACTION." 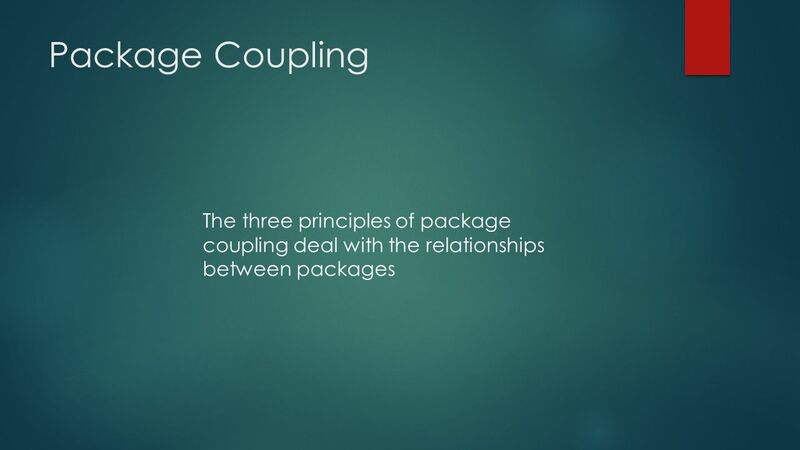 Obligatory cuteness. 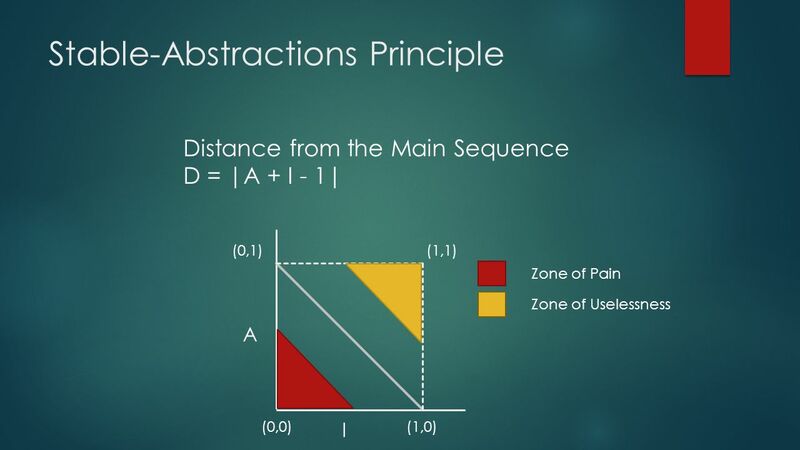 Guidelines for Using Multiple Views in Information Visualization ● A guideline paper – does not introduce any new techniques, but. 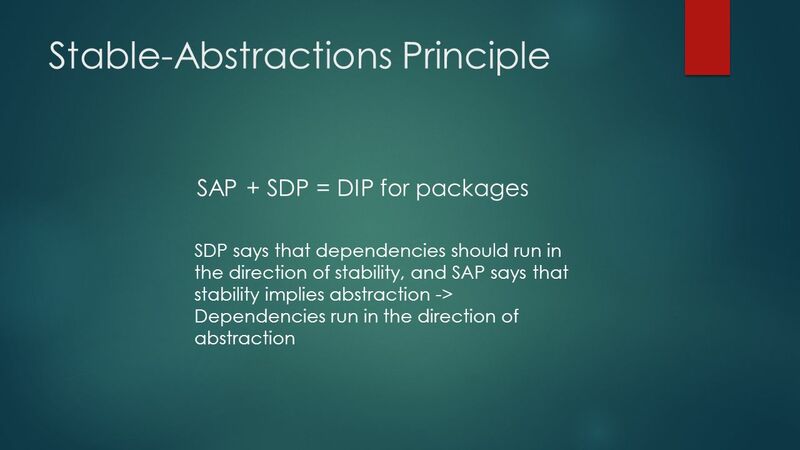 7/12 /07 F-1 © 2010 T. Horton CS 4240 Principles of SW Design Packages in Java and UML. 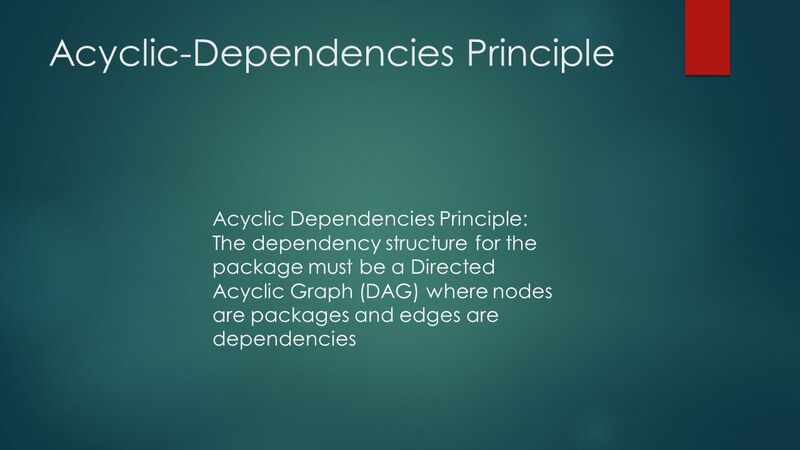 Luca Lista - C++ Metriche nel software Luca Lista INFN, Sezione di Napoli. 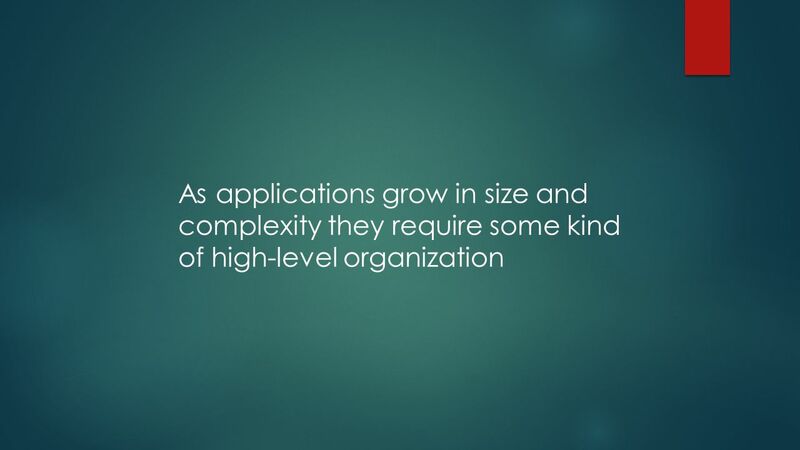 ©Brooks/Cole, 2003 Chapter 10 Software Engineering. 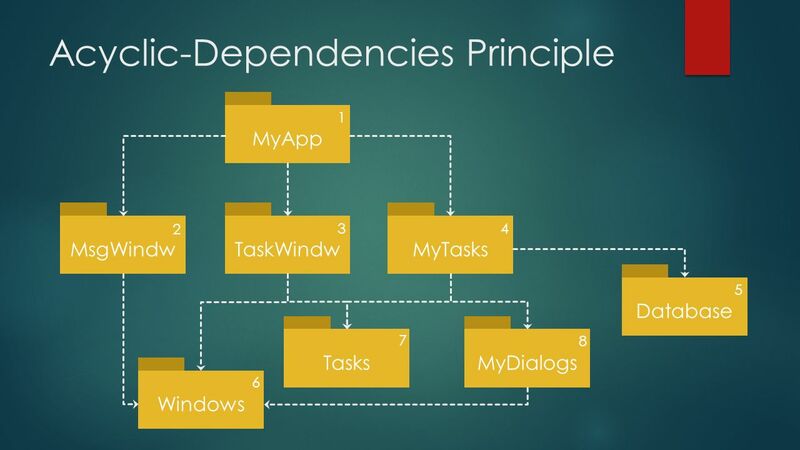 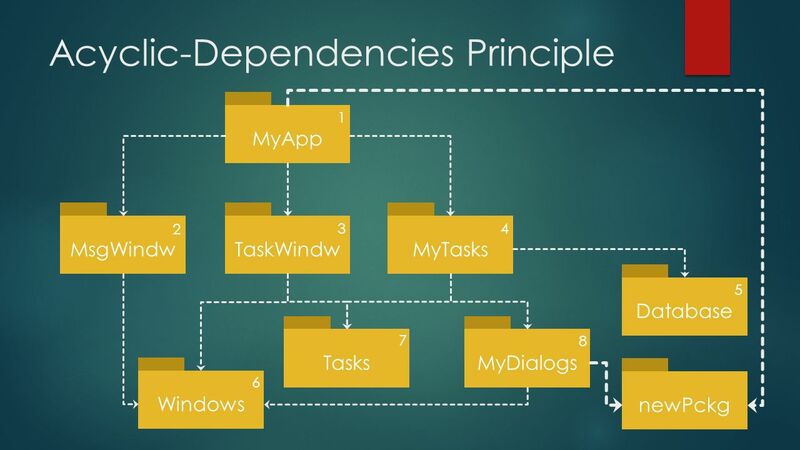 Framework is l Reusable Code, often domain specific (GUI, Net, Web, etc) l expressed as l a set of classes and l the way objects in those classes collaborate. 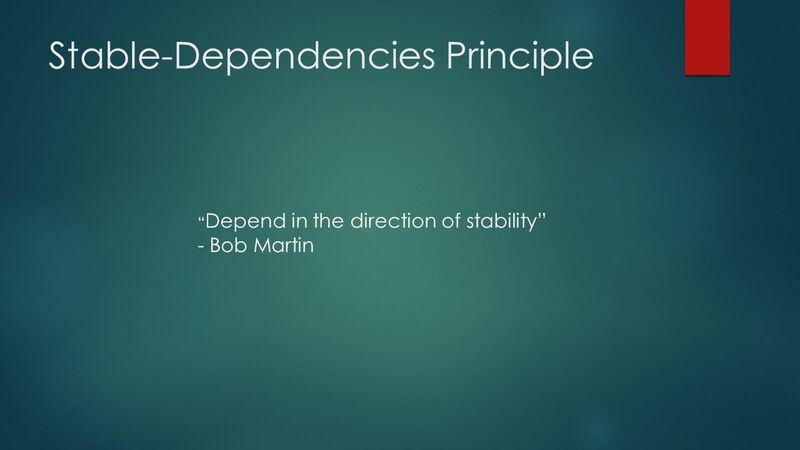 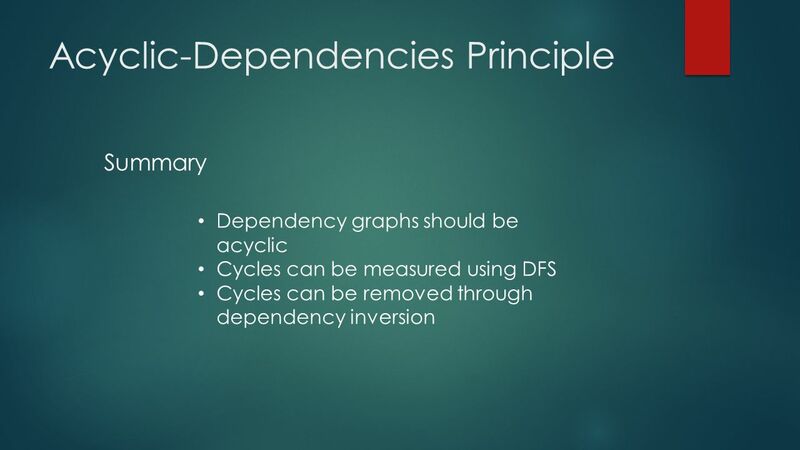 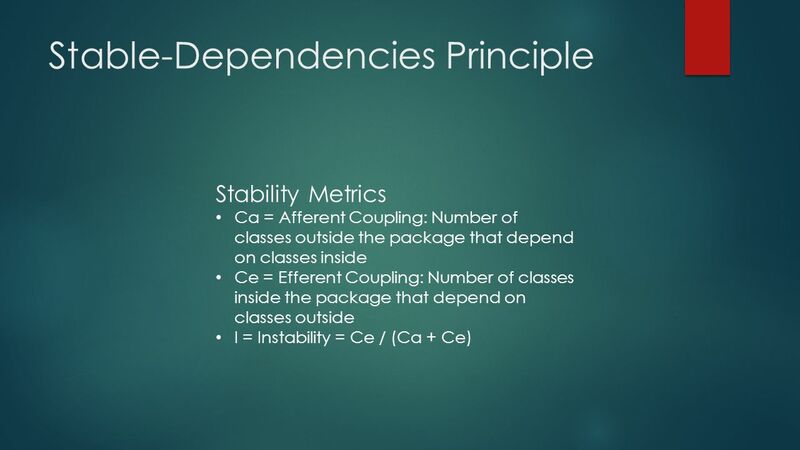 Stability and Volatility is Software Design H. Rahnama Tutorial in software engineering. 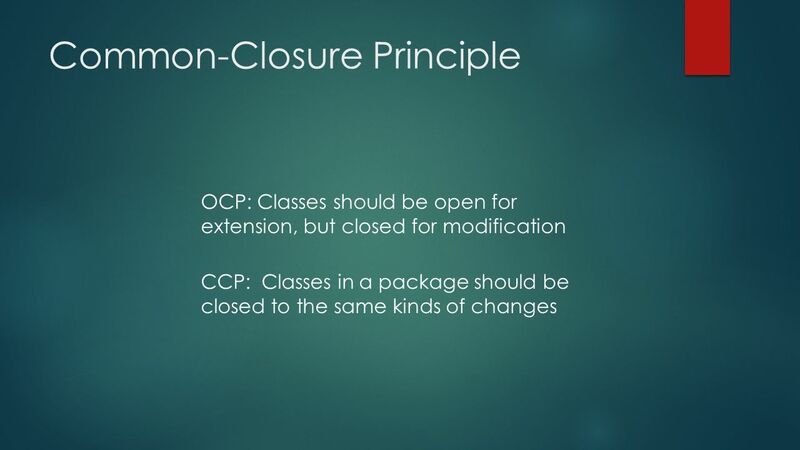 General OO Concepts and Principles CSE301 University of Sunderland Harry R. Erwin, PhD. 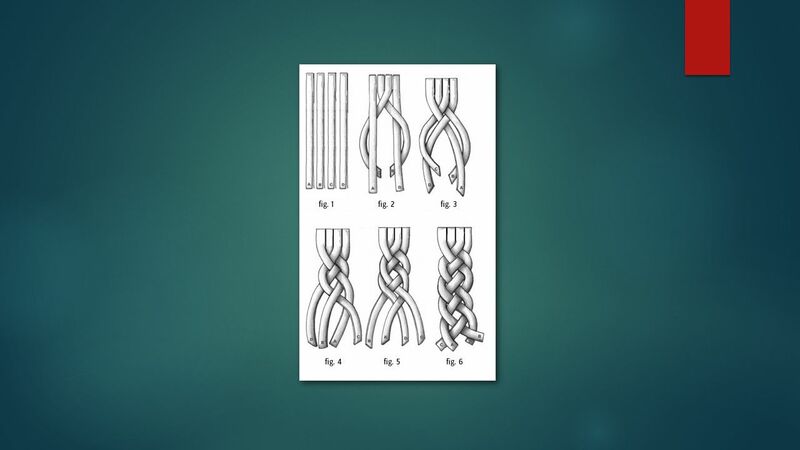 אביב תשס " ה JCT תיכון תוכנה ד " ר ר ' גלנט / י ' לויאןכל הזכויות שמורות 1 פרק 10 Packages. 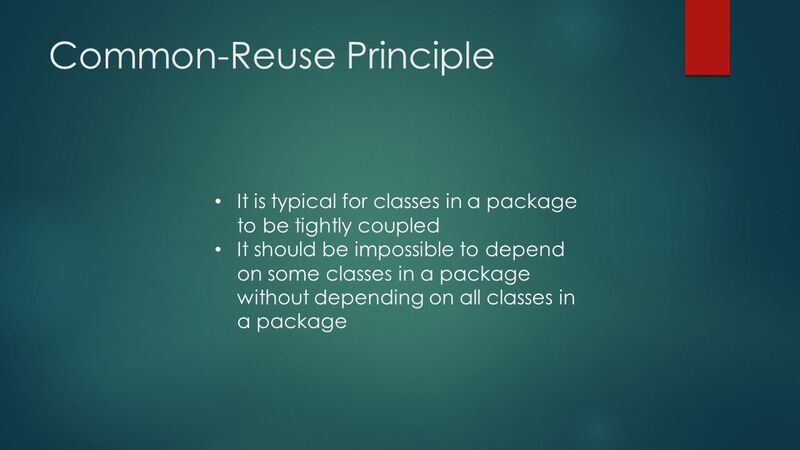 CS350/550 Software Engineering Lecture 1. 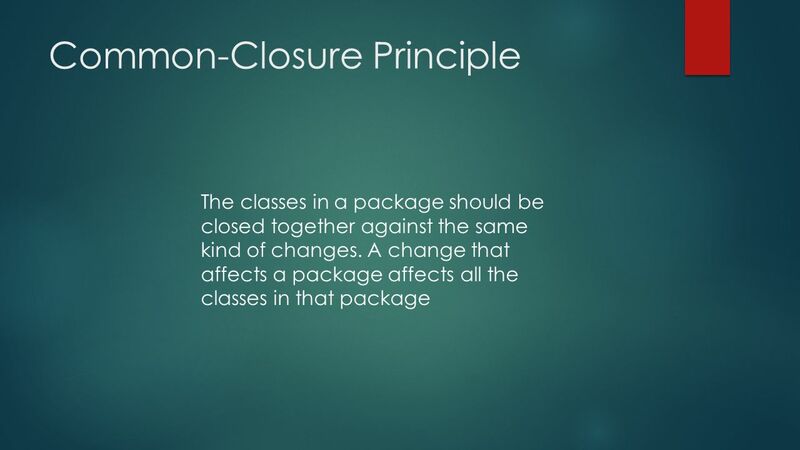 Class Work The main part of the class is a practical software engineering project, in teams of 3-5 people There. 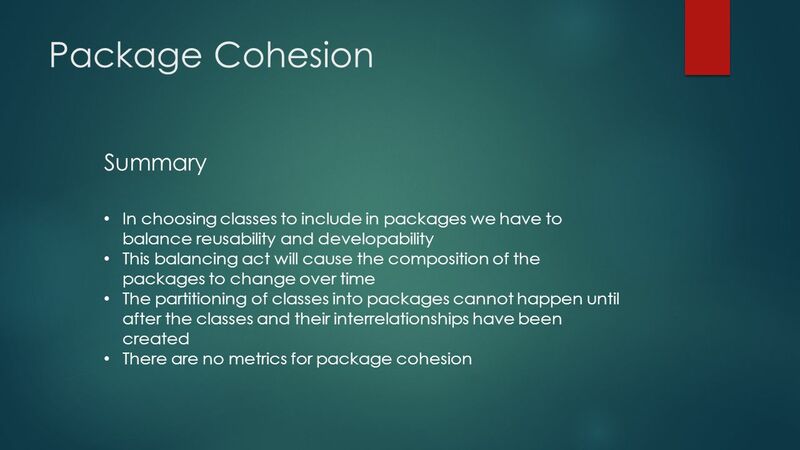 Object-Orientated Design Unit 3: Objects and Classes Jin Sa. 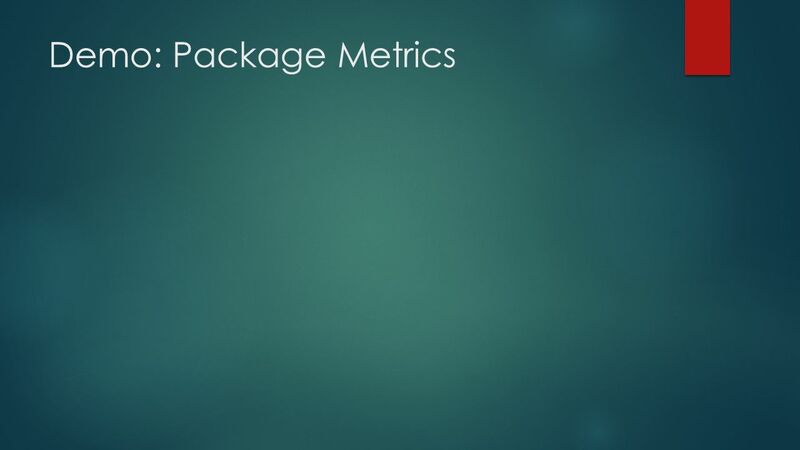 Object Oriented Metrics XP project group – Saskia Schmitz. 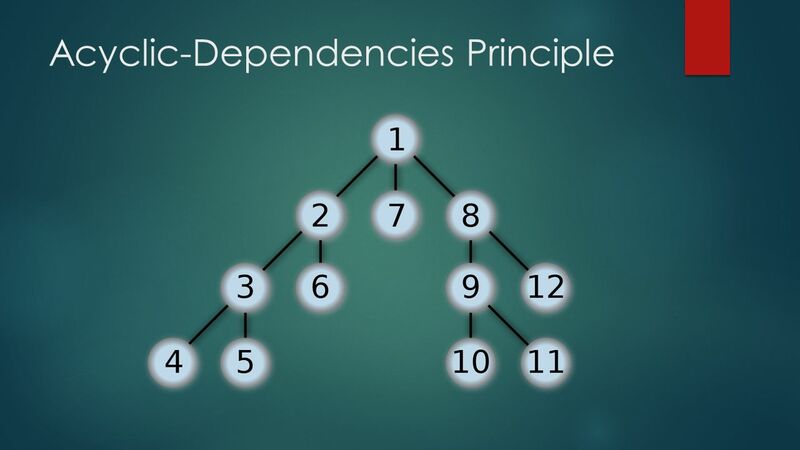 More Graph Algorithms Weiss ch Exercise: MST idea from yesterday Alternative minimum spanning tree algorithm idea Idea: Look at smallest edge not.